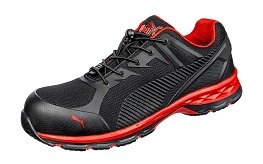 The NEW Puma Relay Red/Black 643837 is a safety runner featuring IMPULSE.FOAM anti-fatigue technology for increased cushioning, stability and comfort. IMPULSE.FOAM Anti-Fatigue cushioning Technology providing up to 55% energy return and offering optimal cushioning, stability and comfort. 300°c heat resistant sole, slip resistant rubber according to SRC, oil resistant and non-marking. 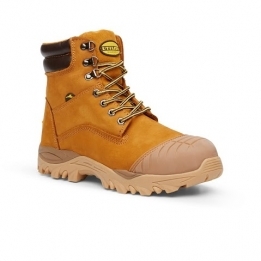 Comes with Quickfit laces and a spare pair of standard laces for the wearer to choose from.